This watch is low pressure resistant and features a screw down crown and Sinn calf leather strap. Verified Owner Comments: I had been considering this watch for over six months prior to purchasing it, and after wearing it non-stop for the past week plus, I can definitively say it was worth the wait. The quality and the detail are amazing, and it wears like a charm. I have relatively small wrists (6.5), but it still wears well and does not over-hang my wrists. It has been performing quite well: anywhere from +3-5s/d, and the chronography has been accurate and responsive. Would highly recommend it to anyone considering it. 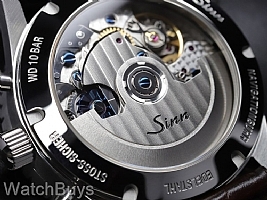 Verified Owner Comments: This watch punches above its weight. "Amazed by this Watch and Watchbuys"
Verified Owner Comments: First off, this watch is simply amazing and looks even better in person. In fact, I think it gets better looking the more I look at it. Seriously. The quality is top notch and that dial is simply to die for. 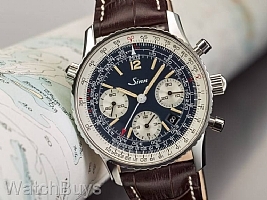 To think I actually considered a Navitimer at one point is absurd in my opinion. If you're on the fence like I was, do yourself a favor, pay 1/3 the price and buy this instead. You won't be disappointed. 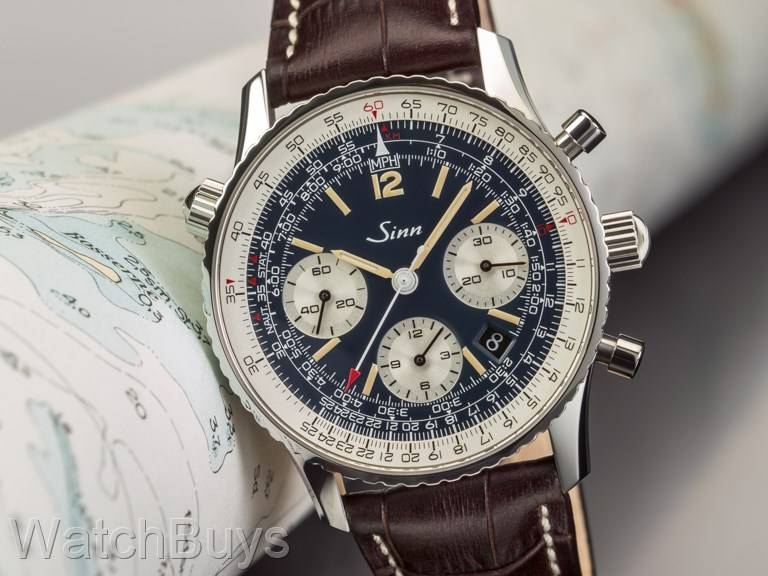 Not only was Rob with Watchbuys extremely helpful, but also a delight to talk to about the history of Sinn and this watch. I was very impressed. Lastly, the watch arrived in 2 short days. Overall an amazing experience. Verified Owner Comments: The folks at WatchBuys were very helpful in helping me to pick out this watch. The watch itself is very durable and also great for everyday wear. The detail of the face looks great I'm always receiving compliments on the watch!